If Ohio Gov. Mike DeWine gets his wish, gasoline taxes in his state will be bumped up 18 cents a gallon to 46 cents a gallon, all in the name of raising more than $1 billion a year to fix potholes and deteriorating bridges. His proposed increase would be only a few pennies short of Oklahoma’s entire gasoline tax. The legislature’s considering it as part of his recently unveiled $7.4 billion two-year transportation budget. The current gasoline tax is 28 cents a gallon. But the increase would generate an expected $1.2 billion a year including $480 million for local government projects. It would take effect July 1 and increase with inflation every year beginning in July of 2020. The 46-cent gas tax would be the fifth highest in the U.S. It’s up to the legislature and the transportation budget bill has to be signed into law by March 31. The tax increase would be the first in 13 years and put Ohio within a few cents of most of its neighbors. It would go up over time, which Ohio Department of Transportation Director Jack Marchbanks said is crucial to ensure officials aren’t back asking for more money in a few years according to the Cincinnatti Inquirer. The Ohio Department of Transportation is facing a $1 billion shortfall for road and bridge maintenance and construction by 2030. Without an increase, Marchbanks said, there is no money for new construction projects such as future phases of the I-75 expansion and reconstruction in Cincinnati. Marchbanks said funding has been an issue for years, but Gov. John Kasich’s administration chose to bond projects. The agency’s debt payments average $330 million a year. While running for governor last year, DeWine, a Republican, promised no new taxes if elected. He accused his opponent, Democrat Rich Cordray, of wanting a $4 billion tax increase. Cordray’s plan to fix Ohio roads? A multi-billion dollar infrastructure bond package. The gas tax is a per-gallon fee drivers pay every time they buy gas. In Ohio, it’s 28 cents per gallon, a rate that has been flat since 2005 and is lower than all its neighbors except Kentucky. Gas tax revenues must be used for highway transportation, according to the state constitution – 60 percent goes to state projects and 40 percent goes to local government projects. In Oklahoma, the state tax is 19 cents a gallon but combined with local taxes and fees, it averages to 31.04 on gasoline and 31.01 on diesel fuel. 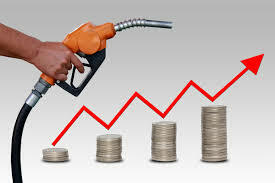 Click here to see a list of gasoline taxes across the country.